When considering this video, I’d have to say it is visually stunning. Fuchsia mats have been spread around a wood floor in a room filled with vanilla candles. The candles are on the floor, up on stands, simply everywhere! The curtains flow gently between brick walls and in the background you can see an opaque glass window. Sara is wearing a beautiful blue top while everyone in the room is also wearing colors of equal beauty. Imagine violet, lime green, lemon yellow, orange and powdery blue. This workout reminds me of yoga in a temple. There is a spirituality about the entire workout that is different than the outdoor workouts or more strenuous vinyasa type workouts. This video tends to encourage you to relax more and look inward to encourage your inner beauty. The purpose of this workout is to teach you to relax at will. Halfway through the workout, I was ready to just climb into bed and sleep blissfully until morning. The music and candlelight allows the tension to drain from your body as you breathe deeply. The instructor has been doing yoga for a long time and she says learning to relax at will allows you to be in control of your energy. With Sara Ivanhoe giving you gentle instruction, you can stretch your way into tranquility. I loved her instruction, it was calming and you can see her inner beauty, calm and love for yoga. Some of the poses include: cat pose, arch curl, side stretch, downward dog, sitting twists, tree pose, butterfly stretch. You won’t have to worry about doing the Chaturanga or anything that is stressful, fast or complicated. These poses melt the body into sleep and must have been chosen to release tension and improve balance and flexibility. move further into some of the poses. If you enjoy this workout, you might also want to take a look at MTV Yoga with Kristin Mc Gee, Ali MacGraw Yoga Mind and Body or Bed Top Yoga, which is a tape. A Gentle Yoga Routine for the evening before drifting off to sleep. A definite “must-have” yoga video for your collection. Sara Ivanhoe has always impressed me with her teaching style and ability to present creative workouts in a relaxing setting. In this 20-minute workout you will be working your upper and lower body simultaneously. The setting is gorgeous and Sara's outfit colors make the entire scene look like an escape into paradise. As waves break on the shore, Sara leads you through a program that not only tests your balance, it tests your creativity and she has an exercise for your triceps that will have you wondering why you did that exercise any other way. After years of exercising your muscles might get used to the same old exercises. With Sara's approach to yoga, you not only have challenging yoga poses to master; you can tone your upper body with weights. There is a brief introduction, a warm-up session and then yoga with weights. A short stretching session allows your body to cool down. You can also just listen to the music from the yoga with music workout and continue stretching after the 20 minutes. If this is too short, you can combine it with other Sara Ivanhoe 20 minute workouts. In fact, she recommends you combine the workouts for maximum results. Walking for 30 -45 minutes before this workout is my personal recommendation. The additional balance challenge with the weights made me truly love this new approach to yoga. Sara Ivanhoe's nurturing teaching style makes her workouts perfect for beginners, but even if you are intermediate, she still knows how to present challenging postures in a way that makes you want to try them. This workout begins with a series of stretches to warm up the upper body, but you may want to walk for 20-30 minutes or do some aerobics to warm up the muscles. I found that without the walking or biking, I was not as flexible. Cow - I had never seen this exercise before! Total challenge! I really loved "Dolphin" which is like Downward dog with your arms bent and your head almost on the floor. It tests your upper body strength and balance, but feels great once you are done with the breathing exercises. Each posture presents a physical and psychological challenge which makes them even more fun. "Cow" felt very much like an advanced exercise, mostly because of the flexibility required to even get into the posture. I literally sat there laughing when I realized there was no way my legs would "pretzel" the way the exercise required. So, you may just want to adapt that one for beginner/intermediate and it still seems to have the desired effect. Beginners will find some of the exercises to be more intermediate, and intermediate practitioners may find this workout great for developing patience. For some reason, which I can't explain, Sara Ivanhoe's workouts leave me feeling more centered, balanced and generally happy and peaceful. It is as if the world spins a little more smoothly after the workout. A meditation session is also offered and Sara Ivanhoe teaches you a new mudra. 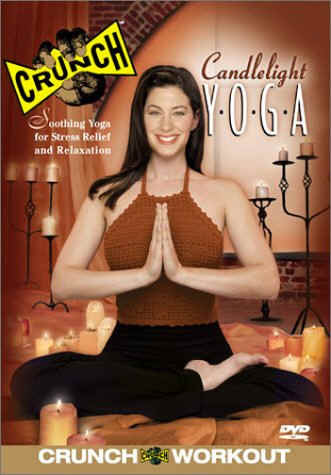 I can also highly recommend her Candlelight Yoga workout and all of her 20-minute Makeovers. when being, just to be. 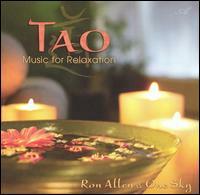 The cover of Tao Music for Relaxation is beautiful and inspires relaxation by water with vanilla candles. An orange flower floats in a shimmering jade bowl surrounded by candles. The soothing spiritual beauty of mysterious bamboo flutes, xaphoon, delicate piano, tabla, ocean drum and angelic vocals by Shannon Kingsbury will lead you into stillness and infuse you with a desire to surrender to stillness. Tao Music for Relaxation takes your soul to new dimensions of being so everyday cares melt into waves of tranquility and musical heaven. Perfect for massage, meditation, reflection, escape into sound or relaxation.